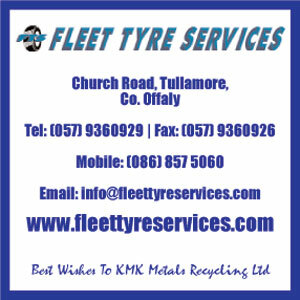 KMK Metals Recycling in Tullamore is providing sponsorship to the local Cappincur hurling club. In October, 2012, the company presented a resplendent set of new jerseys to the club, much to the obvious satisfaction of both parties! 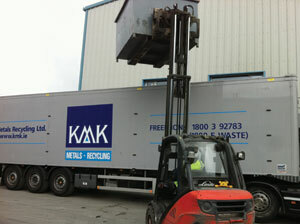 Operating out of its current location at Cappincur Industrial Estate since 1985, KMK Metals Recycling is Ireland’s premier EPA-licensed, end-of-life metals recovery facility, having been established in 1979. 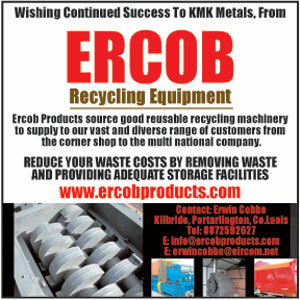 KMK Metals started life recycling precious metals and electronic scrap and has expanded, developed, diversified and grown to become a proven industry leader. The facility boasts a very strong nationwide presence, with up to 60% of Ireland’s electrical waste currently coming through its gates. Typical products treated at the facility would include household electrical appliances (televisions, fridges, washing machines etc. ), office equipment, batteries and lighting equipment. Twelve new positions recycling televisions (as a consequence of the analogue – digital switch-over) were created as recently as January this year. 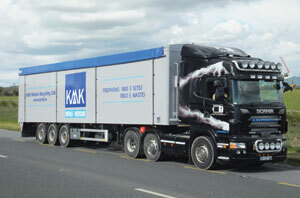 As well as direct employees, KMK would also generate a great deal of indirect employment through its activities, which makes it one of the most significant employers in the Tullamore region. Metals, plastics, components and other materials are extracted from the waste items and then processed for export. 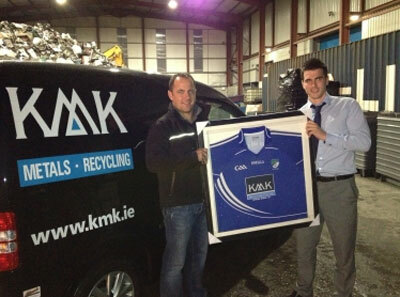 Thus the decision to lend some support to the local hurling club, by presenting them with a new set of jerseys (complete with KMK emblazoned across the chest) was a natural progression: “We want to support local teams and we are more than happy to be able to come on board and support the Cappincur hurlers,” says Kai. “We are delighted with how they are performing and we would like to take this opportunity to wish them continued success in the future. 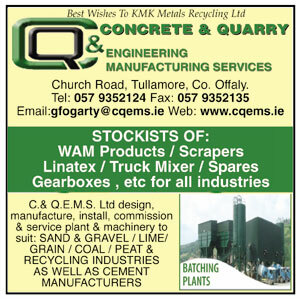 And the fact that the work at KMK Metals Recycling is so labour-intensive is great news for the people of Cappincur and Tullamore in these difficult economic times! KMK Metals Recycling is a business division within KMK Metals that’s dedicated to the handling, processing and management of hazardous and non-hazardous materials that contain metals, such as precious metals, automotive batteries, filter cakes and extractor dusts. 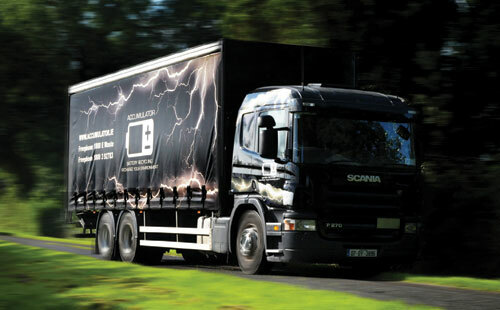 Equipped for the transport and storage of both hazardous and non-hazardous materials, KMK Metals Recycling has a dangerous goods safety adviser and ADR trained drivers on site. 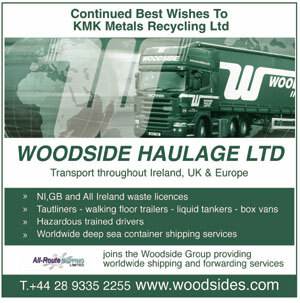 There are three business divisions within the KMK brand: KMK Metals Recycling is licensed to handle, store and treat all hazardous and non hazardous metals containing waste; WEEE Recycle offers a secure, fully compliant and traceable recycling service for all electrical equipment and electronic goods: and Accumulator Recycling is a nationwide battery collection and battery recycling service for waste batteries.